Faculty Jobs, the leading site for finding faculty employment, is committed to helping professors and instructors succeed. We are the top choice worldwide for people seeking faculty positions at colleges and universities. Our job seeking tools make finding great professor positions a fast, easy, and convenient process. 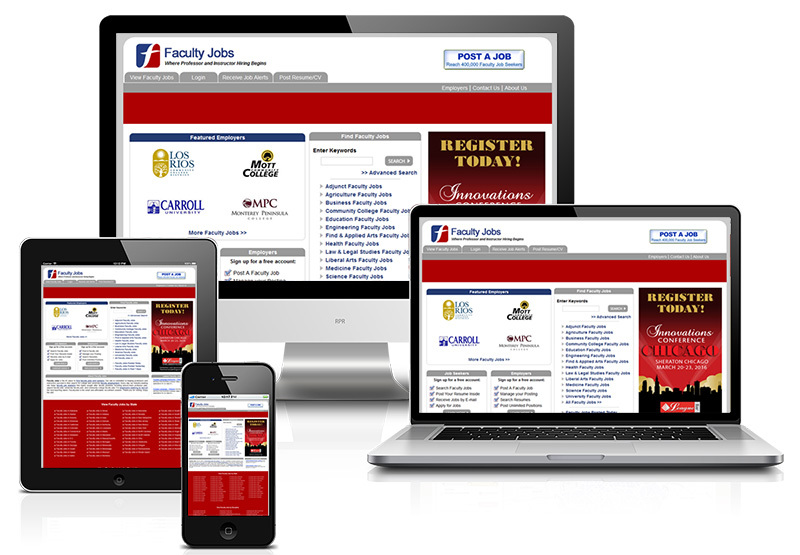 You can easily set up job alerts to have new faculty openings emailed to you. You can post your resume for hundreds of employers to view your credentials and you can apply for jobs automatically through our site. Many new faculty teaching opportunities are posted here daily, so be sure to return often. We wish you the best of luck with your search for a great faculty position.